Bruce Canepa, whom we have featured here on eGarage is not only a “Collector of Fast” and a vintage race car driver but he also has maximum input in the design and features of his aftermarket projects. As is the case with this specific Canepa Design kit. 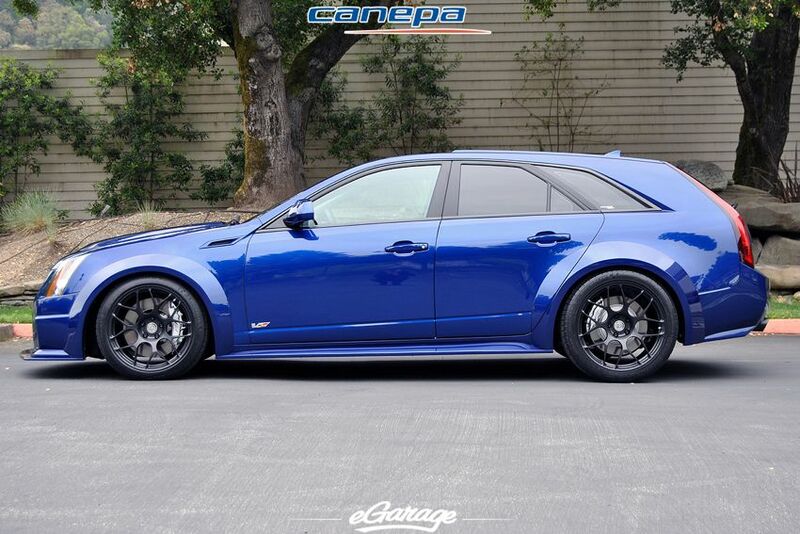 Bruce along with his team have designed, manufactured and installed the perfect balance of awesome on this 570hp supercharged Opulent Blue Metallic Cadillac CTS-V wagon! 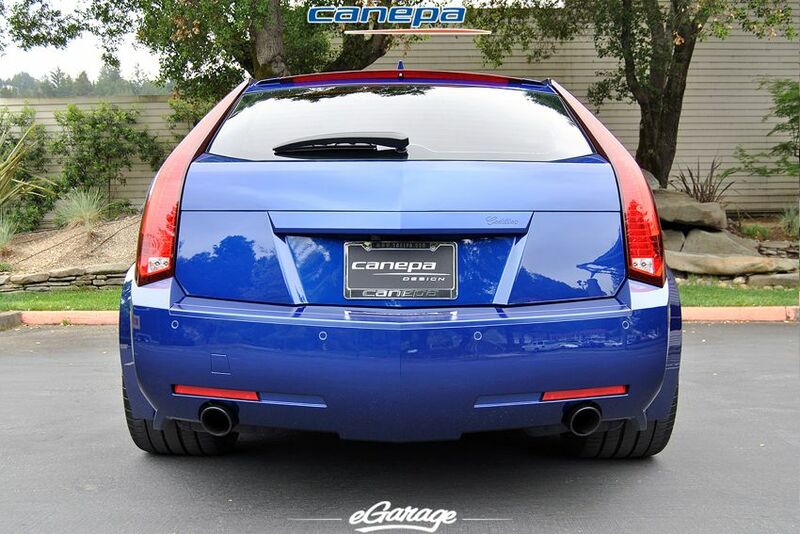 This Canepa Cadillac is a bold statement of aggressive fitment and grace, strength and purpose. 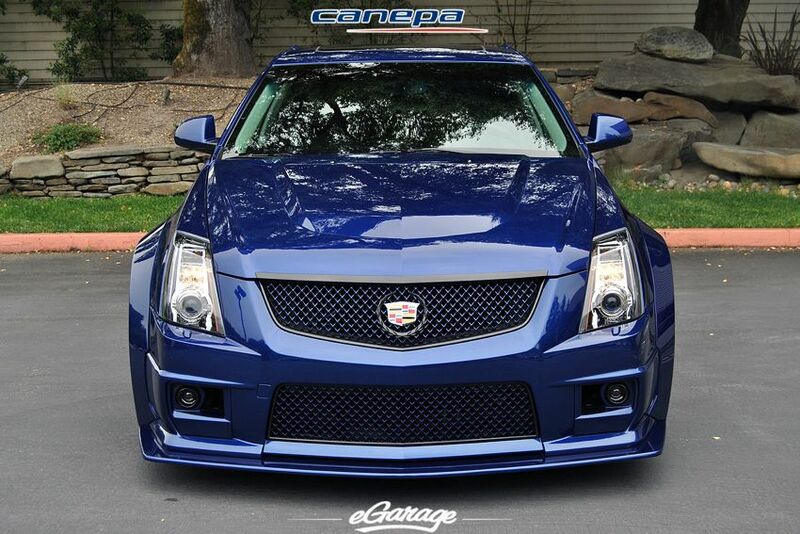 The CTS-V’s dramatic figure has been reinterpreted by Canepa from luxury wagon into a true race-inspired machine. 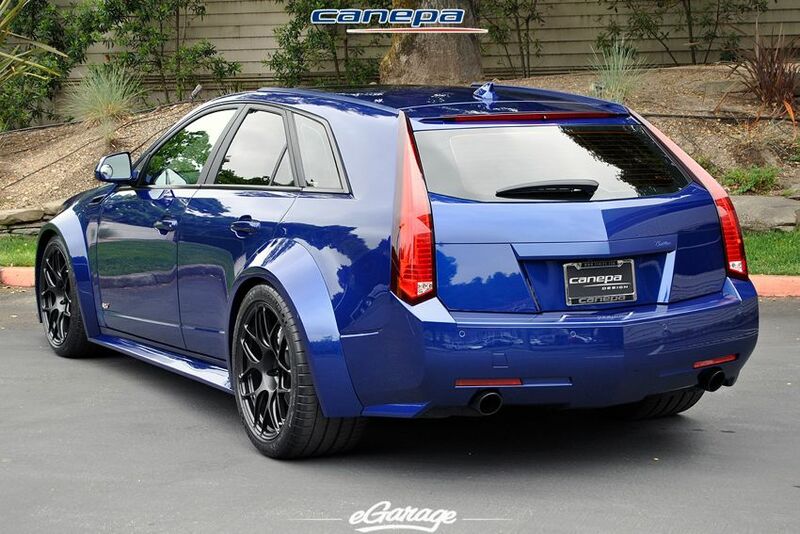 Each Canepa CTS-V wagon provides graphic evidence of the painstaking engineering and quality that is synonymous with the Canepa brand. 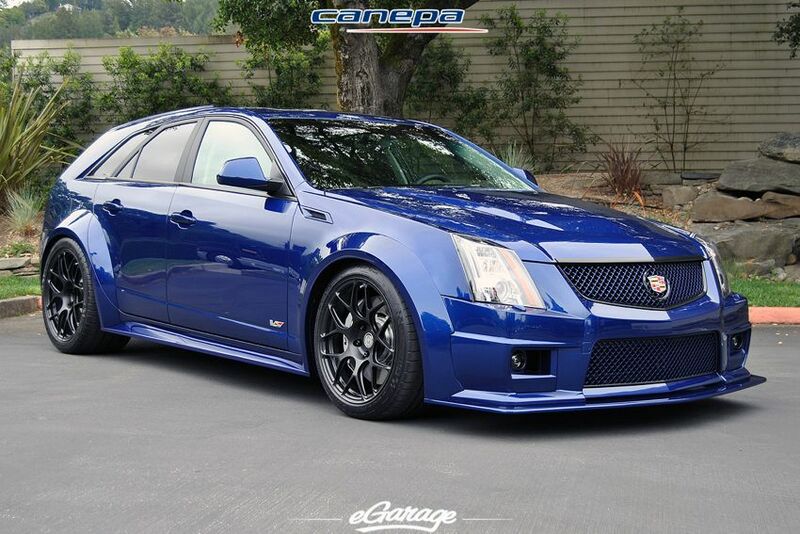 Based on the same hand-laid molds as the Canepa / Bridgestone (CTS-V Coupe) show car that wowed SEMA in 2011, these kits transform the Cadillac wagon from daily hauler to an everyday sculpted exotic. All composite elements are hand-fashioned by the race-trained craftsmen at the Canepa Motorsport facility in Northern California. These stylish additions instantly add presence, performance, and punch to Cadillac CTS-V Wagon. We are told each kit/project receives Bruce Canepa’s input and the wheels are made to Canepa spec by HRE Performance Wheels. Additionally, each car is assembled at the Canepa facility in the Santa Cruz area of California.